Originally written by Dr. Constance Toure, Dr. Suzanne Diarra, Dr. Modibo Diarra, and Dr. Yssouf Diallo on the MSH website. Access to family planning methods has been challenging in many parts of Mali – even before the US had to shut off direct aid to the Malian government. 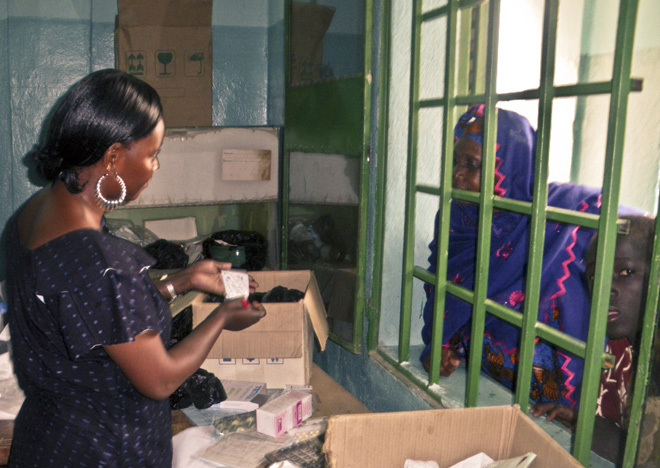 With funding from the US Agency for International Development (USAID), the Systems for Improved Access to Pharmaceuticals and Services (SIAPS) program, has been supporting Mali’s Ministry of Health through its Direction de la Pharmacie et des Médicaments (DPM) to estimate contraceptive needs. The estimates help ensure that proper amounts of contraceptives can be supplied by technical and donor partners (such as USAID, UNFPA, and KFW) in the form of donations delivered directly to the Ministry of Health. But on March 22, 2012, when the Government of Mali was taken over through a coup d’etat, the US Government suspended its direct aid to the Malian Government—including its contraceptive procurement activities. As a result, more women at the community health center level could not access contraceptives. The USAID/Mali mission put a contingency plan in place to set up a provisional supply chain to make contraceptives available through donations made directly to the community health centers. Several projects implemented the plan, including: Assistance Technique Nationale Plus (ATN Plus), Projet Keneya Ciwara II (PKC II), Population Service International (PSI), and the SIAPS program, led by Management Sciences for Health (MSH). Coordination meetings were held between USAID and implementing partners to develop the contingency plan to mitigate contraceptive shortages during the sociopolitical crisis. As a result of this planning, SIAPS supported the contraceptives needs estimation for the private and public sectors as well as the creation of a procurement and distribution plan for the public sector for the six regions in southern Mali. The distribution plan consisted of stocking the contraceptives purchased by USAID in stores in Bamako. Then the contraceptives were divided according to population data among the 833 selected community health centers. The products were transported to health districts where they were stocked in stores that had been rented for the occasion and from where each health center collected its stock. SIAPS employed a quantification method based on morbidity data collected through a review of epidemiological documents. The provisional supply chain was successful thanks to the close collaboration among USAID’s partner projects. The supply chain allowed contraceptives to be made available directly to 833 community health centers in the six regions in southern Mali. Each partner played a decisive role in the coordination of the supply chain’s implementation. SIAPS’s role was the needs quantification and the creation of the distribution plan; ATN Plus distributed the products at the community center level; and PSI was responsible for the storage of the purchased contraceptives. The contingency plan guaranteed communities’ continuous accessibility to contraceptives despite the suspension of family planning commodity procurement activities with the Malian government. Working together in partnerships, amid the challenges, is helping ensure that Malians have access to modern contraception. Dr. Constance Toure, Dr. Modibo Diarra, and Dr. Yssouf Diallo work with SIAPS in Mali. Dr. Suzanne Diarra works with SIAPS in Arlington, Virginia.